After two nights and a long day in Moshi, with only a few patients to see at the hospital (it was a Saturday) we had an hours drive and then an hours flight back to Dar Es Salaam where our heads thankfully hit the pillow around midnight. The next day was aneight hour drive to the town of Ndanda in the South, some 560km from Dar, near the border with Mozambique. Fortunately we had Naiz’s husband behind the wheel to navigate the potholes, speed bumps, police stops and goats! After stopping for a late lunch by the sea in Lindi we arrived to another warm welcome in Ndanda around 7.30pm. We met the hospital director and his son and stayed in a house just next door to the St Benedict’s Hospital,which was originally built by the Benedictine Monks. 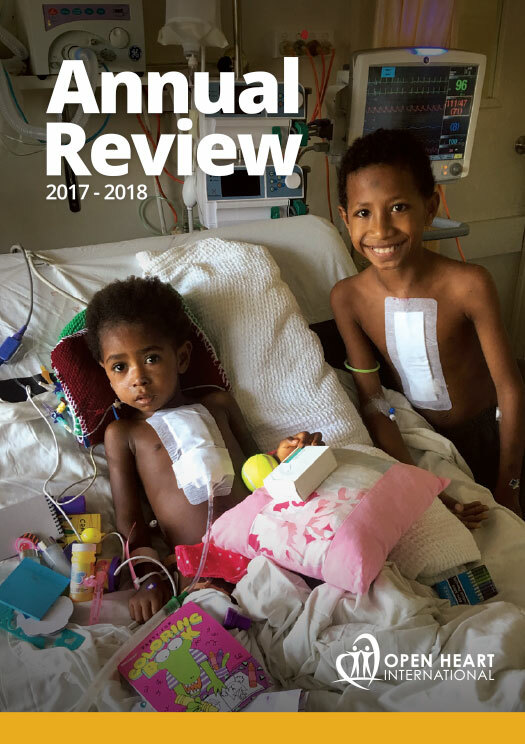 After a warm night, full of church bells and the Isalamic Call to Prayer we headed over to the hospital at 7.30am where we sat in on the daily review. One case stood out to us, a seven year old boy with a crocodile bite, not your average medical contidion. We were then given a tour of the hospital. 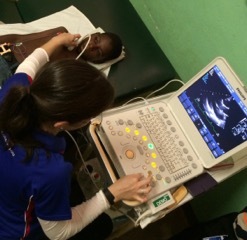 There was a paediatric ward, however, as in Moshi, there are no cardiologists at the hospital and essentially no cardiac imaging available. 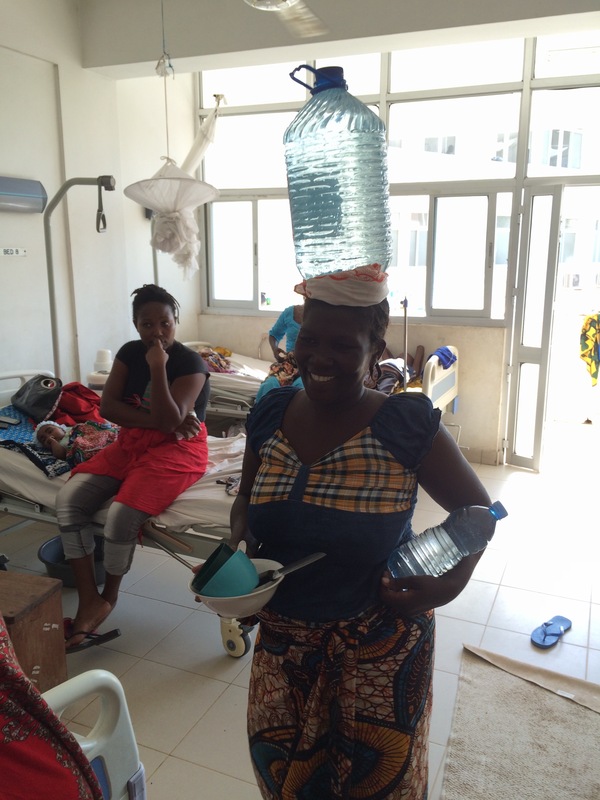 The staff were very accommodating and welcoming and we started seeing patients around 9am. We ‘mzungu’ (‘white man’) were quite the site for the locals I think. 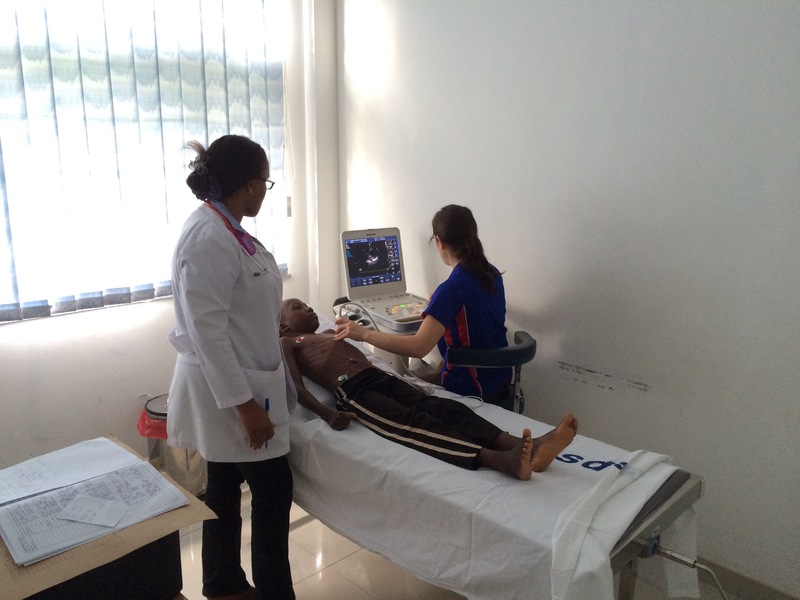 We found some patients withsevere rheumatic heart disease as well as congenital defects with seven cases that will hopefully undergo surgery. 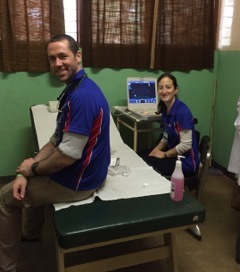 We made a good team and had a system set up where the patients height, weight, heart rate andsaturation’swere performed by local nurses, Daniel then performed the examinations and I did their echoes (with some clinical andentertainment assistance from Daniel….no medical sedation was available). Naiz kept a database of the patients and our findings and was instrumental in communicating with the patient’s families; my Swahili was unfortunately limited to ‘asante’ (thank you). Then followed another morning of interesting cases we started the long drive back to Dar es Salaam….and I thought Sydney traffic was bad! The trip took a few hours longer than expected after been stuck in a traffic jam for about 2 hours on the outskirts of Dar (I suppose not surprising for a city of over 4million people), although the seemingly anything goes driving approach we encountered in the city kept me entertained. Yet again another late night before we headed a short taxi ride over to our final stop, the Muhimbili National Hospital, a large public hospital near the town centre with a recently built Cardiac Institute as well as a Paediatric building. 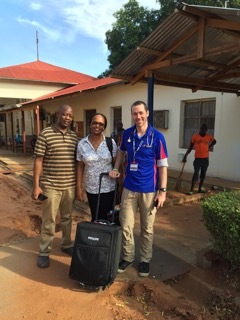 The hospital, home to Dr Naiz (and two other paediatic cardiologists as well as Dr Godwin, a paedatric cardiothoracic surgeon) was where we were hoping to send as many of the children requiring surgery or catheter intervention to and where the OHI surgical team are to visit in April 2016. The director of Cardiology took the time to welcome us as did all the staff we were introduced to on our tour of the facilities and the wards where we performed a needs analysis for the upcoming surgical trip. We spent our final evening in style with a seafood dinner on the coast before heading into the hospital to perform a morning of screening on our final day, sadly seeing many more sick children (I scanned my first unoperated truncus arteriosus and ALCAPA, complex congenital heart defects). We then had to say our goodbyes for now and head to the airport for ourlong journey home. Aside from still being wide awake at 3am composing our story, it has been a fantastic experience for me. It has been a privilege to be part of thisproject, representing Open Heart International and working alongside such fine people. Thepassion, dedication and professionalism of my companions and some of the staff in Tanzania is inspiring and their company made it a very enjoyable experience. It is a very different country compared to Australia in so many ways but has much potential. 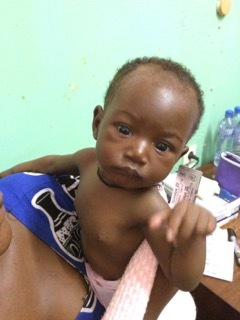 Ihope I can continue to provide my assistance to the program in East Africa and help to build upon the foundations we have established in these towns so that Tanzanian children suffering from heart conditions receive the specialised treatment that they deserve, yet at present cannot access.